Layering textures with a photograph can create an expressive image reminiscent of a painting. 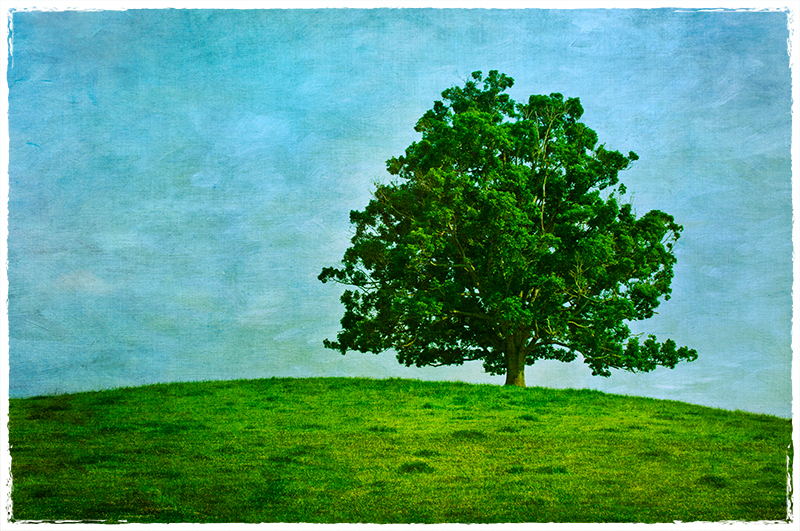 This solitary tree photograph was layered with several textures from Flypaper Textures which created the brushstrokes of color look. Texture adds a little definition and detail throughout an image. No clouds, no worries, empty skies work well for textured effects! PS - Coupon codes are always in the sidebar, including links to software you might want to try. Totally Rad Dirty Pictures will set up your texture layer (including Flypaper and your own favorites) with your photo automatically, and assign a blend mode, how cool is that? Try it and see!